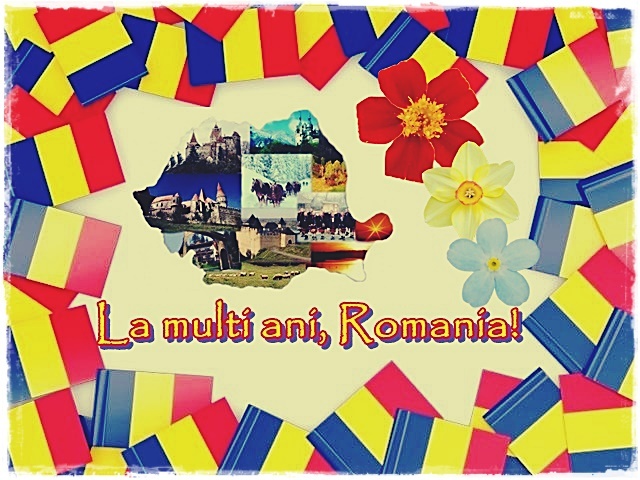 Proud to be Romanian – 99 years of history | look around! Today is the first day of winter: December 1st. It’s a very important day for Romania. For all of us. And I am referring to 1918, when the great assembly held at Alba Iulia. Where was decided the unification of Transylvania with the Romanian Kingdom to form one country: Romania. 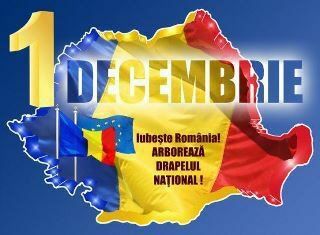 For Romanians is a very important day. It’s the day when all people had the same goal: Unification! And when everyone is on the same page… Miracles occurs. Happy birthday, my beautiful country! Azi e prima zi de iarnă: 1 Decembrie. E o zi foarte importantă pentru România. Pentru noi toți. Și mă refer aici la anul 1918, când a avut loc marea adunare de la Alba Iulia. Acolo unde s-a hotărât unirea Transilvaniei cu Regatul Român, pentru a forma un singur stat: România. Pentru români e o zi foarte importantă. E ziua în care toți au avut același scop: UNIREA! Iar când toți oamenii sunt pe aceeași lungime de undă… Miracolul apare. La mulți ani, țara mea frumoasă! La mulți ani, ROMÂNIA! – Happy birthday, ROMANIA! Happy Birthday Romania. Yes, the end of WWI redrew many borders. I am still learning about this. Are there celebrations there today? Children dance the hora on National Day. I am. It is busy teaching and getting ready for the holidays, but I prefer to be busy. I’ll have a slower teaching schedule over the holiday. I hope things are going well for you also, Monica. Cheers! Thank you, Ms. Mo-Hugs. Always make time for you. Cheers! Happy Birthday, Romania! Thank you for the beautiful photos. Many thanks, dear Roland. Sorry for the belated answer. I hope you’re well and healthy. I am well Monica! I always appreciate hearing from you. Happy holidays to you. How are you spending your Christmas.? It’s a great day to your country, congratulations! Always be proud of your nationality, dear! All I can tell you is that will be very well spent money, dear Manuel. It will worth it every penny. Oh I know it will be money well spent. Happy Holidays to you as well, stay awesome. Yes, I celebrated with my friends on streets. I clicked for English version, but it did not work? Hohoho! Many thanks, my friend.